In this paper, the thermal buckling behavior of composite laminated plates under a uniform temperature distribution is studied. 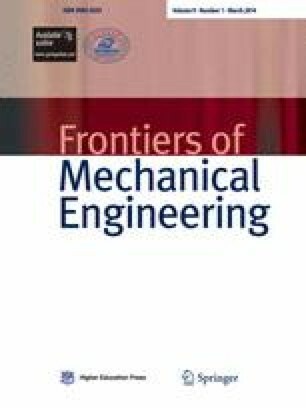 A finite element of four nodes and 32 degrees of freedom (DOF), previously developed for the bending and mechanical buckling of laminated composite plates, is extended to investigate the thermal buckling behavior of laminated composite plates. Based upon the classical plate theory, the present finite element is a combination of a linear isoparametric membrane element and a high precision rectangular Hermitian element. The numerical implementation of the present finite element allowed the comparison of the numerical obtained results with results obtained from the literature: 1) with element of the same order, 2) the first order shear deformation theory, 3) the high order shear deformation theory and 4) the three-dimensional solution. It was found that the obtained results were very close to the reference results and the proposed element offers a good convergence speed. Furthermore, a parametrical study was also conducted to investigate the effect of the anisotropy of composite materials on the critical buckling temperature of laminated plates. The study showed that: 1) the critical buckling temperature generally decreases with the increasing of the modulus ratio E L/E T and thermal expansion ratio α T/α L, and 2) the boundary conditions and the orientation angles significantly affect the critical buckling temperature of laminated plates.